Jane Butel’s Cooking School announces a very special culinary tour hosted by Jane Butel. This wonderful tour features three hands-on cooking classes, tours of historic sites, market tours and artisan visits. The seven-day tour is outlined in the following itinerary. Group transfer from the Oaxaca airport to the Hotel Aitana, which is a beautiful, centrally located hotel and your home while here. The hotel is a restored 17th century building arranged around an interior patio with columns and fountains – you will feel as if you have entered a Mexican oasis. From the hotel’s terrace you can enjoy a panoramic view of the city. Each of its rooms, gracefully decorated in warm colors, has a shower, hair dryer, cable color TV, telephone and safety deposit box. The hotel is only a few minutes’ walk from the magnificent Santo Domingo Convent on the charming walking street, Macedonio Alcala. It is only a few blocks to a wonderful restaurant, where tonight you will feast on a typical Oaxacan meal. After breakfast, you will go to the Etla market with Susana Trilling, your hostess, teacher, and owner of Seasons of my Heart Cooking School. Lunch will be included at the market. Then you will continue on to Rancho Aurora, home of Seasons of my Heart Cooking School, where you will have a hands-on cooking class. Dinner will follow the class. Following breakfast, we will tour Monte Alban, the one-time holy city of more than 30,000 people, which is now the most well-preserved ruin in the state. 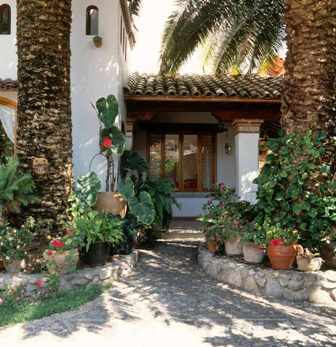 Afterwards, visit the village of Santa Maria Atzompa, where beautiful, green glazed pottery is made and we will have lunch, enjoying their famous clayudas with cold cervesas or beverage of choice. You will also stop in the village of Arrazola, where the inhabitants carve brightly colored wooden figures (usually animals). On our way back to town, we will visit the famous black pottery village of San Bartolo de Cayotetepec. Evening on your own. After breakfast, you will go to Susana Trilling’s cooking school. She is the author of “Seasons of My Heart” cookbook and hostess of her PBS series. She will explain details of the smell, flavors and ingredients of Oaxacan cuisine. At her ranch, we will have a demonstration of the famous regional cheeses with a light lunch following using the cheese. Next comes a hands-on cooking lesson, followed by a delicious dinner of the dishes we have just prepared. Return to Oaxaca in the early evening. Following breakfast, we will depart for Teotitlan de Valle, the heart of the Zapotec rug weaving area. We will be given a tour of the village, seeing demonstrations of how raw wool is processed to create the famous and beautiful naturally dyed wool rugs or tapetes. We will see a small mill where corn is ground to make tortillas, followed by watching them make tortillas for our sampling. Lunch will follow with a cooking class. On the way back home, we will stop by a Mezcal factory (local tequila) to sample several varieties. Evening on your own. After breakfast, the day is free to tour the local markets, museums and many cultural delights. We will conclude with a wonderful very special chef's dinner at a famous local restaurant. After our last delicious breakfast, we will depart in a group for the airport. The total tour cost (excluding airfare) is $2,500. A single room supplement is an additional $300. The price includes seven days and six night’s accommodations, area excursions including a market visit, three cooking lessons each with a meal, daily breakfasts, lunches and dinners as listed in the itinerary, all ground transportation (including to and from the airport), taxes, tips, and gratuities. Tips to guides not included. A deposit of $500 per person is due upon reservation. If you choose to pay in full with your reservation, you will receive 10% off the tour cost. Final payment is due April 9, 2020. If you have questions regarding the itinerary contact us at info@janebutelcooking.com or call us at 505-243-2622. Less than seven days before departure – full payment,however the payment can be applied to future tours or classes. Culinary Tour to Oaxaca - Single supplement added. $2800.00 Pay in full with 10% discount is 2520.00. Culinary Tour to Oaxaca - Single supplement $2800.00 with payments. Pay $800.00 now. $500.00 on October 9, 2019, $500.00 on December 9, 2019, $500.00 on February 9, 2020 and $500.00 on April 9, 2020.